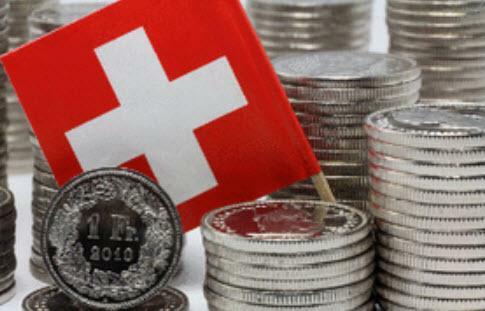 The people of Switzerland are called to vote on 10 June 2018 whether they want to stop the unlimited, unrestrained money-making by the Swiss private banking system, and to return to the “olden days”, when money was made and controlled only by the Central Bank; and this not just in Switzerland, but in most countries around the globe. Switzerland is one of the few sovereign countries within the OECD, and possibly worldwide, that has the Right of Referendum written into her Constitution. The Swiss, an enormous influence in international banking – good or bad – could become a trail blazer for a new economic model, to demonstrate how ell well an economy can run without following the global trend of unlimited money supply – which serves only the banks by indebting the nations and the people. They could put a halt to the seemingly out-of-control economic rollercoaster that brings only misery to people, unemployment, broken homes and businesses, decimated social safety nets, pensions health plans — they, the Swiss could put an end to it and become an economically and financially independent nation with a healthy economy for the wellbeing of the people – not of the banks. The Swiss people are the most indebted of the G20, with 127.5% of private debt as compared to GDP in September 2017. The trend is on the rise. The United States, where deregulation started in the 1990s under President Clinton before it became ‘globalized’, was number seven with 78.5% in September 2017. – According to an OECD 2015 report, mortgages account for 120% of GDP, by far the largest proportion of all OECD countries. – Do the Swiss know that? – Some probably do, but the majority most likely does not. Ever-so-often the Swiss National Bank (Central Bank) issues a routine warning about private and particular mortgage debt – as it is an ever-raising risk for highly indebted families. An economic crisis, loss of a job – and a family fails to meet mortgage payments – bingo, foreclosure. The same as in 2008, 2009 and going on. In this case, the Swiss Government, its Executive, has already and already for a while repeatedly “advised” its populace to vote ‘no’ to the Vollgeld Initiative. And surprisingly every major party goes along with it, including the socialists and other left-leaning parties. Either they are brainwashed to the core by propaganda repeated at nauseam, indoctrinating the people how bad accepting the “Vollgeld Initiative” would be. How bad can be owning your “Sovereign Money”? – Can you imagine? – How much lie must go into such fake marketing? My dear Swiss compatriots, this is the chance of your lifetime. Do yourself a favor by voting YES to the “Vollgeld Initiative”. Not only will you do yourself and the Swiss economy a favor, by bringing the latter back to sovereign control, you would most certainly make world-headlines and, who knows, inspire the peoples of other countries, who are sick and tired of their enslavement by banks, to request that their Central Banks alone can make money – in the amount that corresponds to the needs of their economies – no longer according to the profit-and-greed requirements of the globalized banking oligarchy.